I always love how you wear maxis quite a bit, Mica!! It made me giggle when you said your son kept untying the belt!! That is definitely something I don't have to think about with an outfit..LOL!! 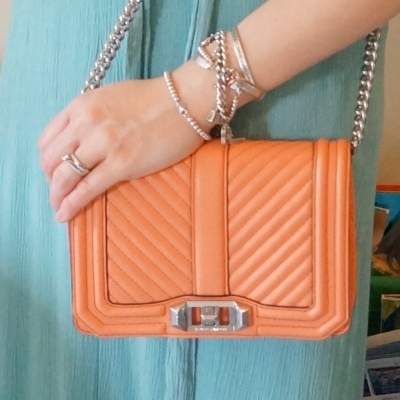 I would never have expected a coral handbag to go with so much but you've really shown (in this post and others) how versatile it really can be! Your mint maxi dress is so pretty! Thanks Gina! It's really turning out to be a very versatile colour! Love the first maxi dress. You are the queen of styling maxi dress. Hope you have a great weekend. You are so right, dear Mica! With a maxidress you look instantly super chic and don't have to put too much effort in such a maxi dress look! I really like both looks although I understand it was a bit challenging with the first dress when it get repeatedly untied. Also the second look is very beautiful. Happy belated birthday to your older son! I love the color of that bag!! And yep, maxi dresses are the effortless way to make it look like you made an effort, haha!! Love a good maxi dress! The turquoise and coral color combination is just perfect! It's not a combination I would ever think to put together (sadly, coral is really not a good color on my skin tone), but the dress and bag look awesome together. That blue dress is just gorgeous! You definitely know how to wear a maxi dress! Happy birthday to your eldest! Happy Birthday to your eldest! It's both wonderful and crazy to watch your child grow up – time passes by so quickly, you start to wonder what you've been doing for the past year lol! But it's a good reminder to really live in the present and live ever moment to it's fullest! Maxi dresses are really great for any occasion! They can be worn dressy, casually, for day, or for night, but either way, they're comfortable which makes it all the better! The coral colour of the Rebecca Minkoff bag and the blue of the dress is the perfect summer and tropical colour combination! So true! Time passes so quickly, they grow so fast! Love the blue maxi dress. I totally pictured the way the kids tug at the string of your dress... too cute! 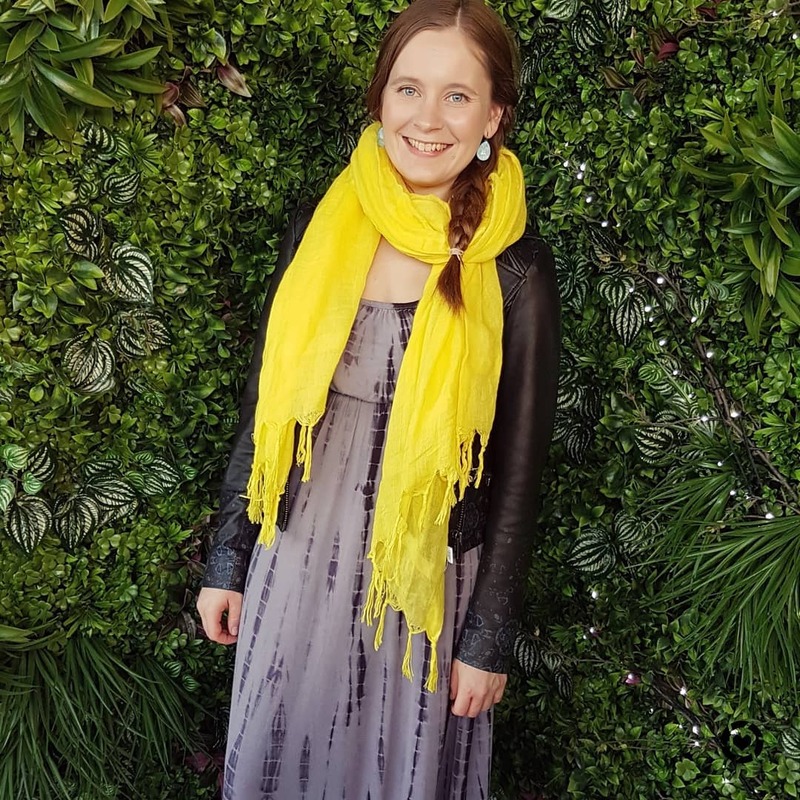 Ohh wow that yellow scarf is fabulous! Love the way you styled it! Hi Mica! Great new items in your wardrobe! The handbag is fabulous and I'm eager to see how you style it with different outfits. It definitely compliments the maxi dress perfectly! Happy belated birthday blessings to your sweet baby! Very cute, perfect for your son's bday party!! Happy belated birthday to the little one! Love your dress - the color looks gorgeous and the overall look is cute! Your bag is cute as well :)! Maxi dresses are a great choice for parties. I love that blue maxi dress you wore for your son's birthday. Happy belated 4th b-day to him. That pale coral bag is a great choice with that dress, such a pretty bag. It would look fantastic with any outfit, I do love the colour and I think it's very versatile. I love the second outfit as well. 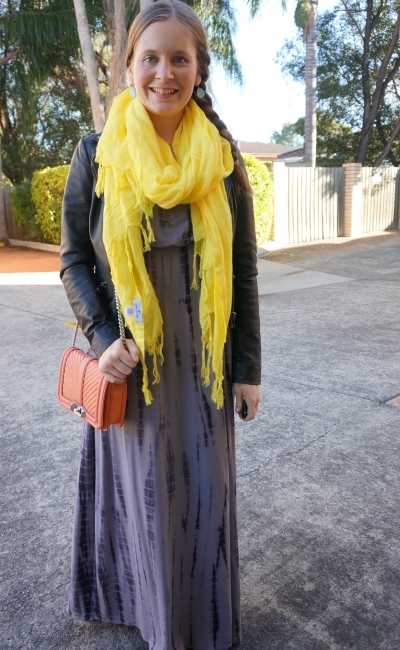 That grey maxi dress looks amazing paired with that oversize yellow scarf. Such a great Autumn styling. You always look so fresh! 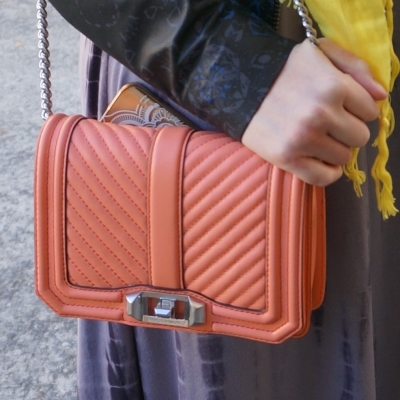 Orange bags are getting popular and this one from Rebecca Minkoff is a hit item. 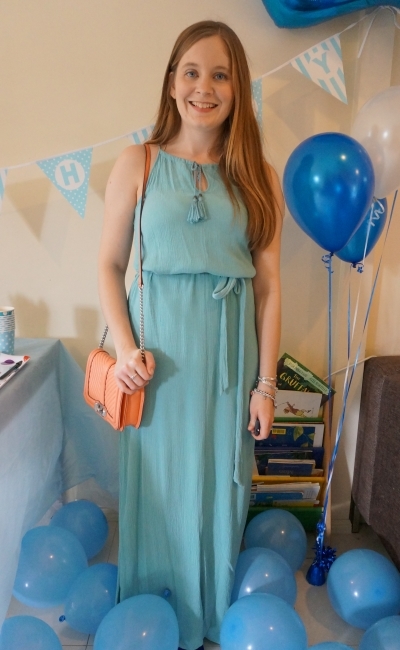 I like your blue maxi dress, perfect for a children's party. I'm in NZ at the moment skiing and taking pictures, it's very cold here but it's nice. Wishing you a great weekend. That is a perfect IG photo! And your hair looks great with! Happy weekend mica! 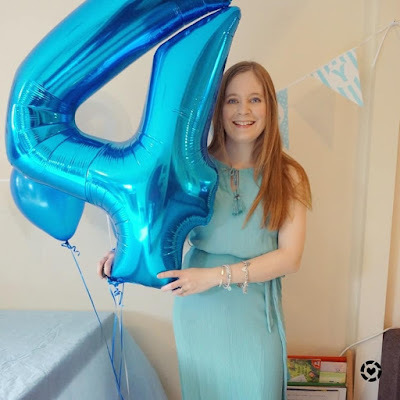 The blue dress is so beautiful love the vibrant colours :D And happy birthday to your eldest, sending all the love and positive vibes ! they are so comfortable and chic. on your first pic... love the color. Love the combination of orange and blue! The Rebecca Minkoff goes awesome with both outfits! Really love both these dresses:) You really do know how to wear and style maxis, Mica. And LOL on the re-tying of the belt...gotta say it's worth it coz you do look fab in it. :D And love that IG photo! haha thank you! It was a bit of a pain through the party! True! Lack of sleep makes it hard to remember all the time that's passed, ha! Loving both looks but dying over this pale blue dress! You look amazing in this color. Your bag is my favorite. Such a beautiful dress and bag. I really love them. You look absolutely gorgeous with both maxi dresses but the first one does sounds like a bit of a nightmare. Definitely not for me because I have no patience with having to retie it. ps: Isn't it crazy how our little one grow up? Mine turn 4 end April and my eldest is 16 in September. They grow up so fast! Although I don't have a 16 year old yet, I imagine it will come around all too soon, haha! It was a bit of a pain through the party - it usually stays in place well, not with little hands tugging it all day! I am with ya, maxi dresses are great to wear for so many occasions! looking cute! I cannot believe he is 4 years old! That is insane! I remember when you told us you were pregnant with him! It has been such a long time, but it seems so short! I love the color of that bag! So perfect for summer! Gotta love maxi dresses! Definitely summer perfection and you look wonderful. I must say that bag is so damn chic and so classy. Awh happy birthday to your eldest! 4! The years fly by! You know how I feel about your peach colour Rebecca Minkoff! I am obsessed with it! That's yellow scarf is cool too! That blue maxi dress looks perfect on you. Happy belated birthday to your son! Isn't it crazy how all of a sudden our babies are no longer babies? My son turned 4 earlier this year as well. That coral love bag is so eye catching and I am loving the coral hue! 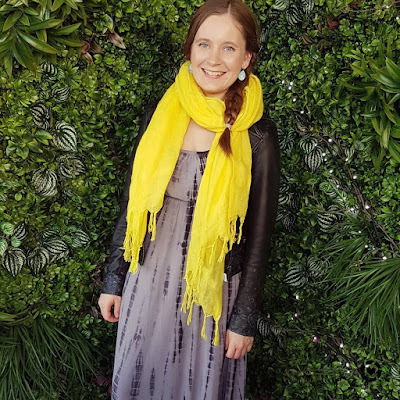 It goes so well with your maxi dresses and love the contrast against the yellow scarf! You just reminded me I need a girl's night out! Happy Monday and wishing you a wonderful rest of your week! Thanks Maureen! They do grow up so fast! I didn't realize our older kids were the same age. Happy birthday to him! What a cute birthday outfit and I hope everyone had fun! I like both looks, but the mint maxi dress is particularly beautiful. Hope you enjoyed your weekend. Aww, happy birthday to your oldest!! 4 is such a great age. I love that blue dress on you too--that blue is GORGEOUS on you with your hair and eye color!